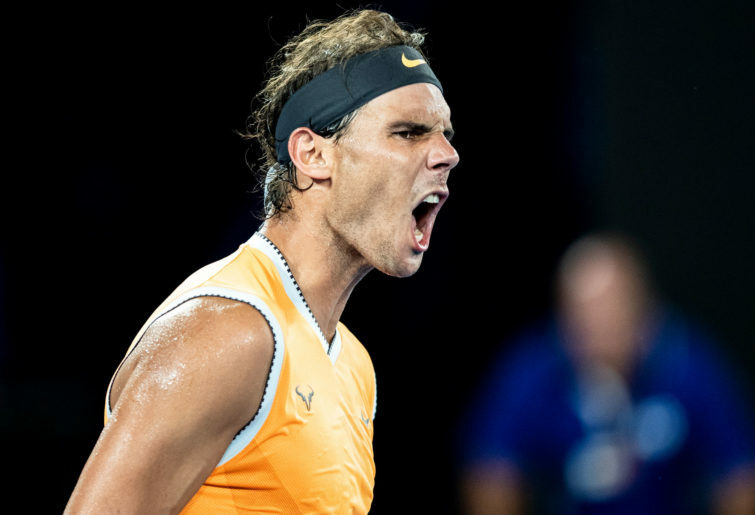 He doesn’t lose finals at Melbourne Park, despite having participated in six of them so far. Sir Andy Murray must consider Melbourne as his final frontier,his Waterloo having lost five finals here, four of them to Djokovic. These numbers are too lop-sided-for comfort. Even Rafa has managed to lose three finals to three different players – Roger Federer, Stan Wawrinka and Novak Djokovic after his first victory over Roger in 2009 – a classic five-setter spanning 4 hours 23 minutes. This is one Slam in which finals have a way of assuming larger than life proportions amid extreme weather conditions. The 2009, 2012 and 2017 finals had far more at stake than just a Grand Slam win. The last two finals have both been five setters, both won by Federer, who vanquished Rafa and Marin Cilic after see-saw battles. But if one is to talk about epics, then the 2012 final represents the most Miltonian of them, composed in similar blank verses. Five sets stretched over five hours and fifty-three minutes. It remains to this day, the most gruelling sports contest I have ever watched on TV. It was punishing as hell for the players – in the fifth set one could see pain writ all over Novak and Nadal’s faces. Novak had played a 4h 50m semifinal versus Murray on Friday as well. Yet its a miracle,and a testament to the greatness of the duo, that the tennis quality didn’t dip even under such physical duress. They traded balls over the net for so long a period and with such amazing consistency that as a viewer I found it impossible to wish away the images of the two warriors locked in this battle-unto-death and go to sleep after it got over. Players are physically conditioned to bear these rigours and receive medical attention after such long matches. But what about the fans? I ended up missing a Sunday drinks and dinner date (because it would not get over), remained glued to the TV for more than six hours including pre and post-match telecasts and was too exhausted, and even stiff by the sheer effort of watching. Of course, I was over the moon because Djokovic, my favourite player, had prevailed, but could commiserate with Rafa diehards who must have been hurt a lot more than the champion himself. Rafa always gives more than his best (which is superhumanly effort) everytime he takes the court, which must make such defeats less painful to digest. And yet, a fan boy is, at the end of the day, just a fanatic. It hurts,and one never recovers from such losses. Seven years have passed by and their scars are still fresh. If only! And for us Nole fans, the abiding relief – thank God! Novak was Numero Uno in then as well, Rafa was No.2. 2019 has morphed into 2012. It is almost as if time has stood still. The more the other challengers get youger, more severe gets their drubbing at the hands of Big 3. It’s a miracle Nole and Rafa are still at the top of the game. Only they are playing better than ever. Who would have predicted this in 2012? Rafa has unveiled a vastly improved serve in this tournament. Novak seems more relaxed on and off court. The legendary lissomness is back. He has won the last two Slams and regained his spot at the top, while Rafa has not dropped a set en route to the final. He thrashed Alex De Minaur, swatted away Frances Tiafoe and smoked out Stefanos Tsitsipas. Novak did struggle for a set versus Denis Shapovalov and for quite some time against Daniil Medvedev, but then played a near perfect semifinal versus Lucas Pouille. An hour of work versus Kei Nishikori in the quarters and 83 minutes in the semis will mean that the extra day advantage that Nadal enjoyed by virtue of having played his semi on Thursday is no longer a factor. Novak has been indulging in a bit of psywar as well. He has been claiming Rafa as his greatest rival, perhaps rightly so. He has also been consistently referring to 2012 final. Novak termed his semifinal win over Pouille as near perfect where everything went as per plan. Rafa had conceded six games versus Tsitsipas, Djokovic admitted he played with the aim of losing fewer versus Pouille. In response to a query, he also declared that his body has not worn down significantly, and he does not feel the need to adjust his game to his age as yet. This is like throwing a gauntlet at Rafa who had admitted to having had to adjust his game to his age and injuries. But Rafa seems in his element – fitter than ever, serving better, rapier-like forehands are working, moving to the net well and errors are under check. This is the force-of-nature Rafa who wins Slams and reduces his opponents to pulp. Novak might end up getting humiliated on Sunday. In the 2012 final, Novak was a set and a break down before he came back and won the second and third sets. The third one saw Nole breaking Rafa twice and himself conceding only two points on his own serve. The Spaniard seemed done and dusted after being a break down in the fourth,but then he is not Rafa who doesn’t claw his way back in. The fourth finally went into a tiebreaker, which Novak led 5-3, but Rafa upped his game and won the next four points. He broke Novak early in the fifth and led 4-2 at one point but the Serb broke twice to win one of the most enthralling and physically draining Slam finals ever seen. Boris Becker, Pete Sampras, Andre Agassi and Mats Wilander thought as much. Rafa led Roger in the final set in 2017 as well, before he got broken twice. That match was significant because both the Master and the Spaniard were coming back after long injuries, and were not expected to be major forces anymore. Roger then led the Slam count among the Big Three – 17 to Rafa’s 14 and Nole’s 12. But for that fifth set loss of Rafa, it would have been more delicately poised at 19-18 in Roger’s favour, with tomorrow’s final and French Open 2019 coming up for Rafa. Tonight’s final might turn out to be even more significant as far as the history of the sport is concerned. A win for Rafa would give him his 18th and prime him up for the 19th at the French Open. But if he manages to lose this one, despite such good form, it might dent his confidence, especially given the semis loss to the same opponent at the Wimbledon 2018. 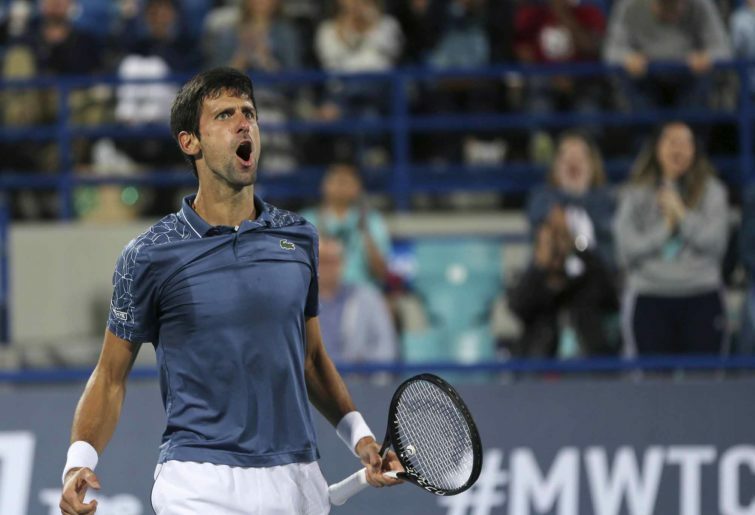 It would also give Novak his third consecutive Slam, and make him a prime contender at Roland Garros as well, where he might have the opportunity to hold all four Majors simultaneously for the second time in his career. It would also highlight Rafa’s recent deficits versus both Novak and Roger, and would put him in a bad mental state to leapfrog Roger’s tally of 20. A lot rests on the Australian Open final. The so-called GOAT race might get more interesting. But one thing is for sure – no fan worth their salt can rest easy till this is over.